Lie with your back on a bench. 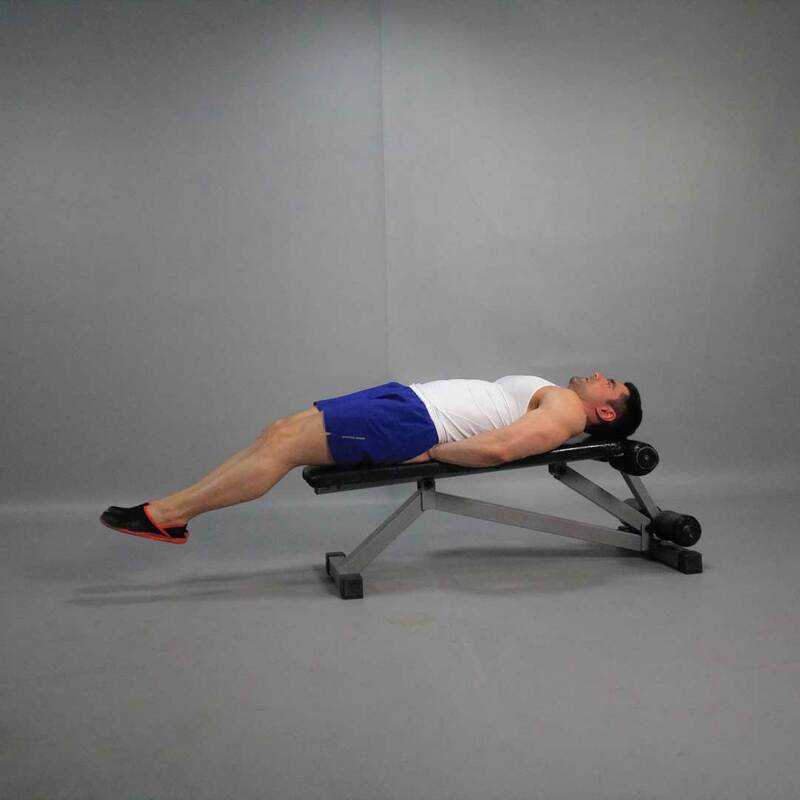 Slightly lift your legs and keep them parallel to the floor. Keep your knees a bit bent, and legs together. This is your starting position. 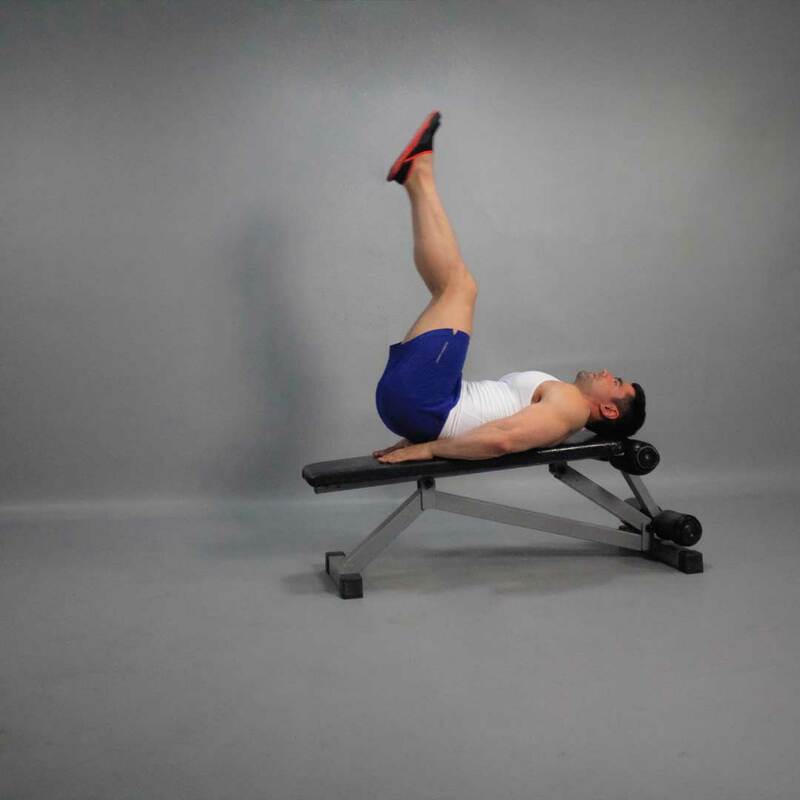 Exhaling, raise your leg and hips by using your abdominals. Pause for a second, and return to the starting position.